Bringing the do-it-yourself market to a whole new level, a California firm is selling kits to build a personal satellite — and get it into space — for $8,000. The program, called TubeSat, is the brainchild of Randa and Roderick Milliron, a Mojave, Calif.-based couple who’ve been developing a bare-bones, low-cost rocket system for the past 14 years. Selling flights as a package deal with satellite-building kits is proving to be a winning combination, with more than a dozen customers signed up to fly on the debut launch early next year. The first of four suborbital test flights is scheduled for August and there are customers for those as well. “The acceptance and enthusiasm has been overwhelming,” Randa Milliron, chief executive of Interorbital Systems, told Discovery News. Most TubeSat customers, so far, are universities, including the Naval Postgraduate School in California, Morehead State University in Kentucky, and the University of Sydney in Australia. A private high school has signed up and so has the United Kingdom’s Defense, Science and Technology Laboratory. “There’s been a massive number of shelved experiments,” Milliron said, caused by a dearth of low-cost launch systems. “This is an opportunity for the academic community to fly affordably.” Interorbital’s rocket, called the Neptune, will place up to 32 TubeSats and 10 slightly larger off-the-shelf spacecraft called CubeSats into orbit about 192 miles above Earth. At that altitude, the spacecraft will orbit for about six weeks, then burn up in the atmosphere. Launches will take place from the island of ‘Eua, located in the Kingdom of Tonga, in the South Pacific. From the left: IOS founders Roderick and Randa Milliron; (center) Eric Gullichsen, who is both an Interorbital investor and the Science and Technology Advisor to the Kingdom ; (right) a member of the Tongan nobility and his aide. “Planet Earth has entered the age of the Personal Satellite with the introduction of Interorbital’s TubeSat Personal Satellite (PS) Kit. 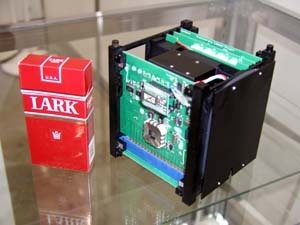 The new IOS TubeSat PS Kit is the low-cost alternative to the CubeSat. It has three-quarters of the mass (0.75-kg) and volume of a CubeSat, but still offers plenty of room for most experiments or functions. And, best of all, the price of the TubeSat kit actually includes the price of a launch into Low-Earth-Orbit on an IOS Neptune 30 launch vehicle. Since the TubeSats are placed into self-decaying orbits 310 kilometers (192 miles) above the Earth’s surface, they do not contribute to any long-term build-up of orbital debris. After a few weeks of operation, they will safely re-enter the atmosphere and burn-up. TubeSats are designed to be orbit-friendly. Launches are expected to begin in the fourth quarter of 2010. Total Price of the TubeSat Kit including a Launch to Orbit is $8,000! As long as the experiment or function satisfies the volume and mass restrictions, it can be integrated into the TubeSat. These restrictions provide a unique intellectual challenge for the experiment or function designer. TubeSats are also available as Double TubeSats, Triple TubeSats, or Quadruple TubeSats. The length, volume, and mass of these expanded TubeSats are based on the multiplying factor. 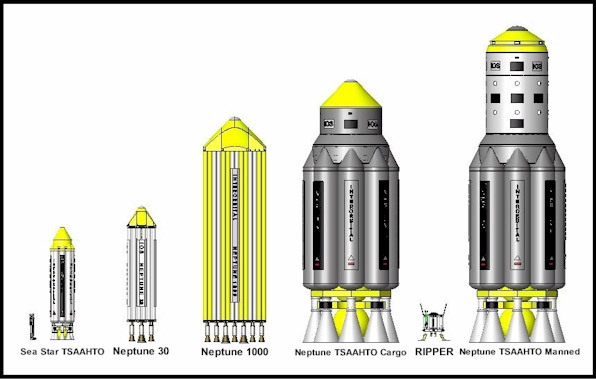 32 TubeSats can be integrated into and launched by a single Neptune 30 launch vehicle. Prior to launch, each TubeSat is inserted into one of the rocket’s 32 Satellite Ejection Cylinders. They never come into contact with the other TubeSats. Once on-orbit, the satellites are released according to a pre-programmed timing sequence. The timing sequence is designed to prevent satellite clustering. Interorbital expects to launch a set of 32 TubeSats per month. The Neptune 30 TubeSat launches will take place at the IOS Spaceport Tonga, located on the southern tip of the island of ‘Eua in the South Pacific Kingdom of Tonga. Half-Upfront-Half-Payment Option: TubeSat buyers also have the option of paying half of the cost upfront, then paying the other half of the cost at a later date or when the TubeSat is completed and ready for integration into the launch vehicle. With this option, the builder will be placed on a launch manifest according to the time when full payment is received. All orders will be shipped within 30 days. Experts say the big news in spacecraft building involves ultra-small CubeSats. These petite but powerful satellites are spearheading a hands-on revolution around the world. And what fist-sized CubeSats bring to space could mimic innovations sparked by the personal computer here on Earth. To look at them, you don’t see much …and that’s a good thing. No massive, expensive spacecraft that has been years in the making and loaded to its sprawling solar panels with super-electronics and other posh payload parts. A standard CubeSat is a motherboard of invention: About a 4-inch (10-centimeter) block of equipment that tips the scale at roughly 2 pounds (1 kilogram). A handful are already in space and with other launches planned for later this year. Peep inside a CubeSat and you’ll spot off-the-shelf circuitry in the familiar form of microprocessors and modem ports, and other microchip devices typically used in cell phones, digital cameras and hand-held Global Positioning System (GPS) satellite navigation units. CubeSats will make be easier and more cost effective to deploy into orbit. The American Institute of Aeronautics and Astronautics and Utah State University showcased the pint-sized payloads at the 18th annual Conference on Small Satellites, held here last month. The CubeSat initiative is a global congregation of universities and private firms striving to advance small satellite technology. Of the participating universities, more than 60 percent of CubeSat developers reside in the United States. 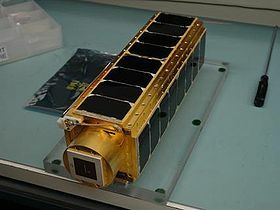 In June 2003, six CubeSats were lobbed into orbit from Russia’s Plesetsk launch site, executed by Eurockot Launch Services GmbH of Bremen, Germany. Later this year, if all stays on track, over a dozen universities from around the world will take part in hurling their CubeSats into space via a Dnper rocket. This launcher — an SS-18 missile sans warhead — has been rehabilitated into a “ride for hire” booster offered by ISC Kosmotras. “When we started this, I thought that it made sense for everybody to collaborate,” said Robert Twiggs, professor and consultant at Stanford University’s Department of Aeronautics and Astronautics and a pioneer in the rapidly growing world of small satellites. “I’m very pleased that it’s going the way it is.” Twiggs’ main interest is in the development, launch and operation of small, econo-class orbiters to do feasibility demonstrations and to space-qualify new and novel components. He is also spearheading the miniaturization of space experiments for low-cost satellite missions. A CubeSat can be built for under $25,000, although they typically come in at the $30,000 to $40,000 price range – still a bargain. The “going-rate” per CubeSat launch is in the $40,000 range. There’s already a CubeSat Kit being offered that gives a builder a leg up on turning a space mission into reality – and meeting a launch date “on time and under budget,” says one product brochure. Regarding what services CubeSats can perform, Twiggs said that he doesn’t have the foggiest idea of what the “killer application” of the little satellites will prove to be. However, as for their utility, he’s quick to respond. “The utility to me is to educate the students. The electronics are starting to get better…the efficiency of solar cells is going up…and in a couple of years they’re going to be very capable little satellites. I think some good things are coming,” Twiggs told SPACE.com. Universities have an inherent advantage in developing “disruptive” space systems, Swartwout contends, and that is the freedom to fail. In fact, he added, three of the six CubeSats placed in orbit in 2003 were either never contacted or failed very early. “Experimental failure is a basic element of university life, and from the university’s perspective, a failed spacecraft is not necessarily a failed mission,” Swartwout said. 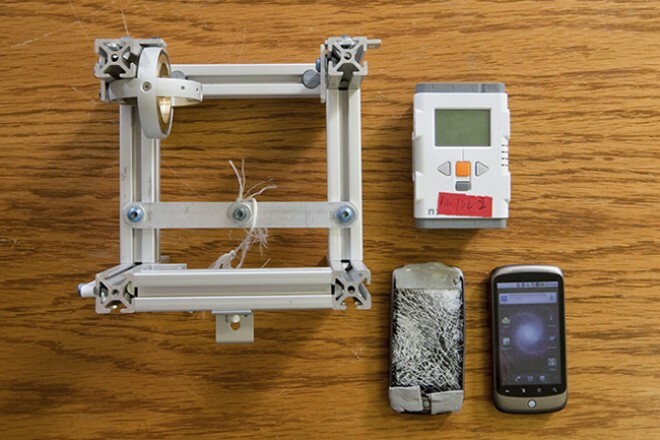 Swartwout explained that the tremendous reductions in the size and cost of electronics are making possible “disposable” probes that function for only weeks, but whose very low cost and short development cycle make their launch and operation affordable. “Universities are uniquely poised to take advantage of disposable spacecraft, and such spacecraft could be used to develop ‘disruptive’ satellite technologies,” he said. California Polytechnic State University (Cal Poly) in San Luis Obispo is a powerhouse in the CubeSat effort, led by Cal Poly Aerospace Engineering Professor Jordi Puig-Suari. In April, Cal Poly hosted the first-ever CubeSat Developers’ Workshop. That event brought together teams in the United States and abroad to network and collectively shoulder ways to reduce CubeSat costs and development time, and review how best to increase their access to space and turn up the volume in terms of launch rate. In addition to overseas launches, CubeSat builders are looking to develop the capability of boosting their satellites within the United States. A campaign is in progress with all major launch providers to assess possibilities for the future. Cal Poly is also home for the CubeSat deployer, the P-POD. All universities involved in the CubeSat program send their spacecraft to San Luis Obispo where Cal Poly students integrate each into the P-POD and carry out testing before transporting them to the launch site. 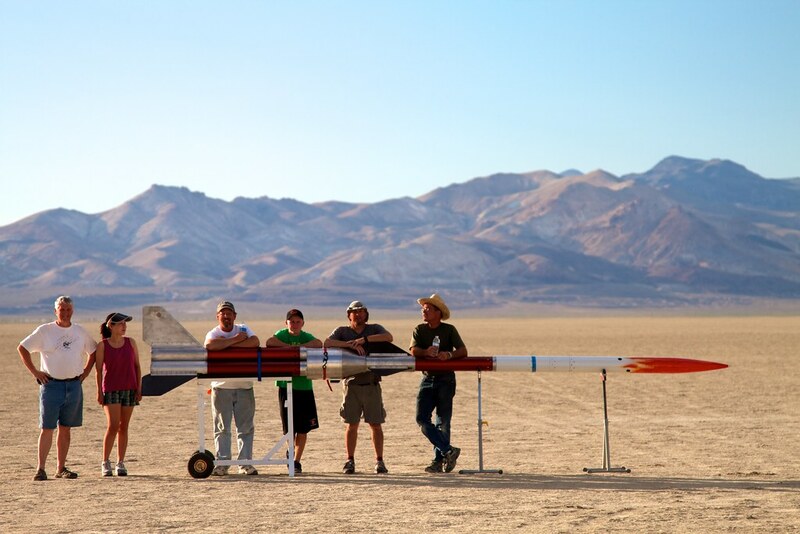 Things are extremely busy at Cal Poly, said Spencer Studley, PolySat Project Manager and student. The launch slated for later this year will include 14 CubeSats, he said, developed by seven teams in the United States and four groups at international universities. The CubeSats will be stuffed within five P-PODs, each carrier device cocked and spring-loaded to deploy sets of the tiny spacecraft. “People are learning as they are building,” Studley said. “Between 40 to 50 universities are actually in the process of building CubeSats.” Studley said that universities are undertaking CubeSat work for multiple reasons: For their educational value by enhancing student engineering skills, to carrying out science data gathering or supporting a commercial space agenda. According to Bryan Klofas, Cal Poly student and coordinator for the university’s Earth station: “There are a lot of universities involved…and lots of far out ideas. You don’t need a lot of money to put a satellite in orbit. Smaller is better.” Twiggs at Stanford University foresees a burgeoning role for CubeSats. 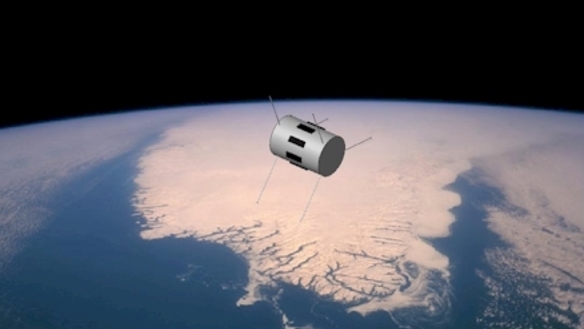 Micro-thrusters could enable the spacecraft to maneuver freely in Earth orbit. New radio and solar cell technology is within reach, also making future CubeSats all the more productive. “And look at the processors. Every time they come out we get more computing power for less power consumption,” Twiggs said. The same goes with the PDA, he said, the handheld personal digital assistant. “They are our saving grace. They didn’t know it but they’re building stuff for us,” Twiggs added. Big plans are afoot for CubeSats. There is talk about flying tethers on the spacecraft, as well as toting along inflatable packages – both techniques viewed as a way to hasten a CubeSat’s reentry and lessen worry about adding to already orbiting space clutter. CubeSat innovators also envision the small spacecraft deployed from the International Space Station – chucked out of an airlock. Then there is the prospect of CubeSats toting biological or hardware experiments that reenter and parachute to Earth. “I hope the CubeSat is like the personal computer…you don’t know what the heck you’re going to do with this little box when you build it or what markets will be enabled. But it’s so cool, you’ve got to do it,” Twiggs concluded. We’ve known that the DIY ethic is good for modding your Roomba or building a beer bong, but groups of college students have taken the movement to the next level: space. Working on shoestring budgets and short timelines, duct tape and tape measures, CubeSat enthusiasts build 4-inch square satellites and then piggyback their dreams on bigger missions’ rockets. They do it dirty and cheap, but their results are competitive with their spendier counterparts. The CubeSat strategy was pioneered at Stanford University in the Space and Systems Development Laboratory, now headed by Andrew Kalman, a consulting professor. In this Wired Science video, Kalman explains how CubeSats came to be, how they’re built, and why they’re important. What was just a concept 10 years ago is now a thriving way of accessing space at very low cost. Now, even NASA is giving the idea the thumbs up. Tuesday, a new nanosatellite will take a ride into orbit on a Minotaur 1 rocket. The entire satellite is just 4 inches tall and 12 inches long, like three standard CubeSats stuck together. PharmaSat, as the NASA Ames project is known, will carry a small payload of yeast, which it will feed with nutrient liquid — and then attempt to kill — over the course of 100 hours. The project is supposed to test the effectiveness of antifungals in killing microbes in space. It turns out that low-gravity conditions can do strange things to earthling cells, including making them more virulent. If we’re going to send humans, with their huge complements of bacterial ecosystems into space, we need to know how microbes react to the low-gravity environment. While the PharmaSat project adopts some of the CubeSat methods, keep in mind that it still helps to have NASA behind you. The agency spent $3 million on PharmaSat, mostly bringing the rigor of the CubeSat up to NASA standards. “I don’t think we’re using exotic or one of-a-kind products,” said Bruce Yost, PharmaSat mission manager at NASA Ames. “It’s how it’s put together.” PharmaSat grew out of an earlier proof-of-concept CubeSat project called GeneSat, which proved that engineers could send up a tiny satellite that would effectively nourish microbes and carry out detailed analysis of biological changes. “PharmaSat is kind of a version 2.0 of GeneSat,” Yost said. “It’s quite a bit lot more complicated. It will handle more valves and fluids and microwells. I tell people sometimes that it’s GeneSat on steroids.” Even though the experiment will only take 100 hours or so, the limited bandwidth available to the satellite — which maxes out at 9600 baud — means that the PharmaSat will be beaming data down for months after the yeast die. The biggest challenge of sending cellphones and toys into space is whether the parts can get up there without shaking apart and work in a vacuum at extreme high and low temperatures. To do some preliminary testing, two Nexus One cellphones caught rides on two rockets on July 24 that launched 30,000 feet into the atmosphere at a maximum speed of mach 2.4 (about 1,800 miles per hour). One of the rockets crashed into the ground after its parachute failed, but the other made it back with the cellphone unscathed. 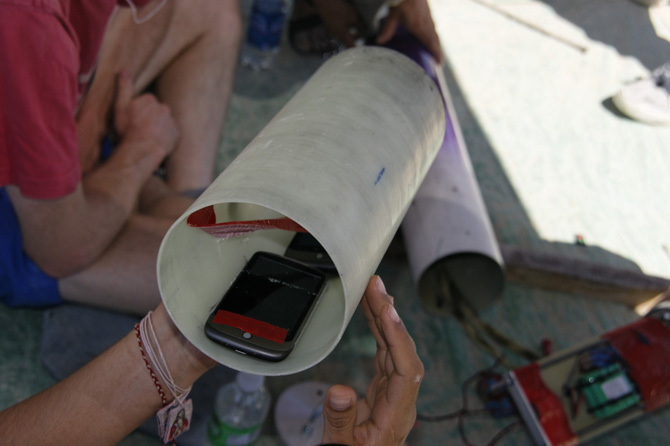 Both cellphones were able to record the acceleration of the rocket using their built-in accelerometers, and the undamaged phone captured 2.5 hours of video of the event through a hole in the side of the rocket. “Everything that didn’t break is a piece of data,” said volunteer engineer Ben Howard. “We know that the batteries didn’t break and that the computer worked the whole time.” If the cellphones ultimately get used to power satellites, they will probably be sent up without a screen and with a different battery to make them lighter. The screen and battery make up 90 percent of the Nexus One’s weight. Next, the team will build a stabilizing mechanism for the satellite using the cellphone, $100 toy gyroscopes and parts similar to those of the Mindstorms Lego, so the satellite can orient itself in space. By installing three spinning gyroscopes and getting them to spin at different velocities, a satellite can move in any direction. The same technique is currently used on many satellites, but requires multimillion dollar technology. Keep us updated with news.